Snow is all around, and Christmas tree is full of lights. Bring a holiday spirit in your classroom. 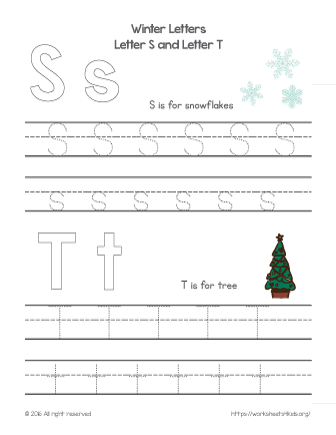 Learn winter related words and practice tracing letter S and letter T. Go ahead and be ready to write your best letter to Santa.